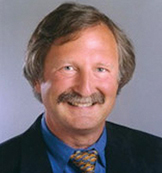 Dr. Kohlstadt is considered a thought leader in nutritional medicine. She edits the widely acclaimed 100-author medical reference Advancing Medicine with Food and Nutrients, now beginning its 3rd edition. The first edition entitled Food and Nutrients in Disease Management (CRC Press 2009) was reviewed in both the Journal of the American Medical Association (JAMA), and in Hopkins Medicine Magazine. Click Here for an Audio-Digest interview. Her scientific papers and lectures listed here center on equipping primary care physicians to incorporate nutrition into primary care medicine. Her goal to transform the health of children and their families through nutrition is profoundly shaped by her clinical, public health, and regulatory work. Dr. Kohlstadt has worked for the CDC, the U.S. Food and Drug Administration, the USDA, the Indian Health Service, and the Johns Hopkins Weight Management Center. Having practiced medicine on every continent including as station doctor in Antarctica, she is convinced that nutrition is a powerful yet underutilized tool in combating disease, and that educating our children is central to our nation’s vitality. Joel Gittelsohn, Ph.D., M.Sc., Professor, Department of International Health, Johns Hopkins Bloomberg School of Public Health. Dr. Gittelsohn is a medical anthropologist who specializes in the use of qualitative and quantitative information to design, implement and evaluate health and nutrition intervention programs. Researching NutriBee as a public health intervention, his multi-decade work focuses on developing, implementing and evaluating community-based programs for the primary prevention of chronic disease in disadvantaged ethnic minority populations. Dr. Gittelsohn integrates qualitative and quantitative approaches to better understand culture-based beliefs and behaviors regarding dietary patterns, and how these factors influence the success or failure of dietary and lifestyle modification strategies. He applies these methods and interventions for the prevention of obesity and diabetes among different indigenous and ethnic groups, to nutrient deficiencies of Nepalese children and women, and to improve infant feeding in diverse settings (The Gambia; Hartford, CT; Peru). 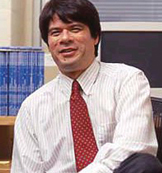 He also is currently working on chronic disease interventions among the White Mountain and San Carlos Apache (obesity prevention), the Ojibwa-Cree (diabetes prevention), African American church-going women (cardiovascular disease prevention) and children and adults in the Republic of the Marshall Islands (obesity and undernutrition prevention). Miriam J. Alexander M.D., M.P.H. Dr. Miriam Alexander is nationally recognized in preventive medicine and as an occupational medicine physician with 16 years as a residency director. She is a faculty member at Johns Hopkins University and President of a national professional medical association. 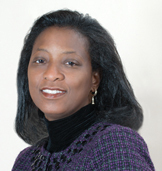 Miriam Alexander, MD has 24 years of occupational medical director experience; first at Bethlehem Steel in Southeast Baltimore where she was the plant medical director for a heavily unionized manufacturing environment and then for 20 years as the part-time corporate medical director for McCormick and Company. At McCormick she developed and oversaw the clinical services and all the health and wellness activities as well as providing direct patient care consistently. She was responsible for the development of all treatment protocols and surveillance systems and was the medical oversight for the benefit plans. Additionally, Dr. Alexander successfully managed the health of populations within multiple different regulatory systems. At present, she has her own consulting practice of patient care, MRO services, expert witness and consultation to small companies. Dr. Alexander has been a faculty member at the Johns Hopkins Bloomberg School of Public Health for 16 years where she has served as the director for the preventive medicine residency, the Mid-Atlantic Public Health Training, taught multiple courses, and served as the director of the Masters of Public Health Program.. Through these years, she assumed leadership in multiple national preventive medicine organizations, most recently as the President of the American College of Preventive Medicine. Dr. Alexander has been awarded a number of national awards of excellence in leadership in the field of preventive medicine. Verron Haynes is an NFL Superbowl (XL) Champion and an American football running back who retired in 2010. Verron Haynes was drafted by the Pittsburgh Steelers in the 2002 NFL Draft, following three successful college football seasons at The University of Georgia. Verron appeared on the cover of Pittsburgh Magazine’s 25 Most Beautiful People issue in January 2007. As of 2010, Haynes serves as an International commentator and television personality for ESPN International. In five seasons with the Steelers from 2002 to 2006, Haynes gained 660 yards on 159 carries (4.2 average per carry) and three touchdowns. He also recorded 39 receptions for 322 yards (8.3 average per reception) and two touchdowns. Haynes then signed with the Atlanta Falcons on April 29, 2009. Today, Haynes resides in Roswell, Georgia with his three children. An active pillar in the community, Verron serves as a Board of Directors member for TurningPoint, a non-profit Women’s Healthcare organization that was established in 2003 in response to the unmet survivorship needs of women with breast cancer. In addition, Haynes splits his time between appearances, running The Verron Haynes Foundation, football clinics and camps and commentating for ESPN International. 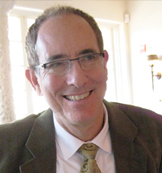 Richard A. Ungerer MSPD, M.Th is Executive Director of the American Montessori Society (AMS). AMS, since its formation in 1960, has grown to be the largest Montessori organization in the world serving Montessori schools, teacher education programs, and teachers. Paul C. Pritchard is known as a family man, world recognized conservationist, historic preservationist and community leader. The renowned conservationist, Michael Frome, described Paul Pritchard as one of the most influential conservationists of modern times. The Smithsonian Institution recognized him in its book, Conservation Leaders. Pritchard’s achievements blanket the fifty states and reach around the world. He has been a significant force in the addition of over half of America’s national parks, the first estuarine and marine sanctuaries, state heritage programs, the saving of Canada’s St. Catherine Islands, the protection of China’s national parks and the fight for the Earth’s delicate climate. Pritchard founded National Park Trust, the only land conservancy dedicated exclusively to protecting America’s national parklands. From 1980 to 1997, he was President of National Parks and Conservation Association, increasing the organization’s membership from 23,000 to more than 500,000, and the annual budget from $434,000 to nearly $19,000,000. He created the March for the Parks, the world’s largest annual Earth Day event in 1990. As the founding chair of the Climate Institute, and a founder of both the U.S. Green Group and also Friends of China’s National Parks, Paul Pritchard has achieved a “legacy of conservation firsts,” said Fordham Law School. A decorated career officer in the US Department of the Interior, Pritchard also chaired a Presidential task force and was instrumental in the addition of Alaska national park units. He has published more than 100 articles and was selected to write the definition of ‘national park’ for Houghton Mifflin’s Encyclopedia of the Environment. Pritchard authored the article celebrating the 75th anniversary of the National Park Service for National Geographic Magazine, and through their book division, is credited as the creative force of a series of books including Enduring Treasures: National Parks of the World. 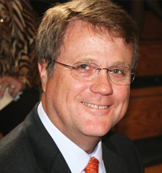 In addition to serving as chairman of his county public service utility district and as the chairman of the Arts and Humanities board of his county. he also initiated one of the first organic farming projects in his region beginning with the elimination of artificial fertilizers and chemicals from his farm in the 1980s. He founded the City Club of Martinsburg which focused on the preservation of the historic core of the community. For his diverse conservation accomplishments, including underwriting Richard Adler’s Wilderness Suite, Pritchard received the Secretary of the Interior’s Honor Award for Meritorious Service, the Gulf Conservationist Award and the first Albert Schweitzer Prize in the Humanities in 1986. He is a member of the Cosmos Club in Washington, D.C. and an Elder in the Presbyterian Church. Pritchard holds a Bachelor of Arts degree in Humanities and a Master of Science in Planning. He is a decorated Vietnam veteran and lives in the Oak Hill Historic District in Maryland. Jacob Teitelbaum, M.D. is a board certified internist and Medical Director of the national Fibromyalgia and Fatigue Centers and Chronicity. He is author of Beat Sugar Addiction NOW! (Fairwinds Press, 2010), the popular free iPhone application “Cures A-Z,” author of the best-selling book From Fatigued to Fantastic! (Avery/Penguin Group), Pain Free 1-2-3 (McGraw-Hill), Three Steps to Happiness: Healing Through Joy (Deva Press 2003), and his newest book Real Cause, Real Cure (Rodale Press, July 15, 2011). From his home in Kona, Hawaii Dr. Teitelbaum makes frequent media appearances including Good Morning America, CNN, Fox News Channel, the Dr. Oz Show and Oprah & Friends. Vilma A. Joseph, M.D., M.P.H. Vilma a. Joseph, M.D., M.P.H. is an Associate Professor of Clinical Anesthesiology in the Department of Anesthesiology at Albert Einstein College of Medicine. She teaches at Montefiore Medical Center, the academic medical center and University Hospital for Albert Einstein College of Medicine. Montefiore Medical Center is nationally recognized for clinical excellence—breaking new ground in research, training the next generation of healthcare leaders, and delivering science-driven, patient-centered care. Montefiore is ranked among the top hospitals nationally and regionally by U.S. News & World Report. Dr. Joseph cares deeply about our nation’s youth and empowering them to engage in healthful choices. She is a graduate of Johns Hopkins School of Medicine, and met Dr. Kohlstadt while they were attending Medical School and while earning their M.P.H. from Johns Hopkins Bloomberg School of Public Health. With Dr. Kohlstadt, she co-authored a chapter on drug-nutrient interactions in the medical textbook Scientific Evidence for Musculoskelatal, Sports, and Bariatric Nutrition (CRC Press 2006). She and her husband Tim (U.S.C.G. Retired) who is a public elementary school teacher and Boy Scouts of America adviser, live in NY. George Trotter, M.Ed, B.S. brings over forty years of career experience in public schools. 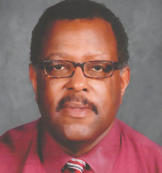 He has been an educator since 1968 in the roles of public school teacher, assistant principal and acting principal. Working often in disadvantaged communities, George Trotter has reached into the lives of many children offering hope and opportunity as he assists children in their education and personal development. This tremendous and often intangible service is highlighted by awards which include the Lifetime Mentor Award (2010) from the Anne Arundel County Volunteer Center, the Anne Arundel Trade Council Outstanding Educator Award, and the Omega Psi Phi Fraternity Award for Outstanding Citizenship. Mr. Trotter’s most cherished career award is the steady stream of visitors accomplished in medicine, education, military service, government, engineering, music, finance, social work, etc who stop by his office to say “Hello Mr. Trotter! Do you remember me?” He is married 38 years to Laura Herold-Trotter, Retired, Department of Defense (Ft. Meade, MD), has eight brothers and sisters, and over 100 nieces and nephews. 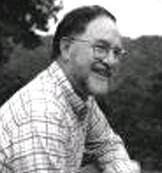 Richard L. Godine, D.V.M. is business owner and director of Ruckersville Animal Hospital and Veterinary Laser Therapy Center, a five doctor small-animal practice located outside of Charlottesville, Virginia. Dr. Godine is Adjunct Professor of ultrasonography and laser therapy at the Blue Ridge College of Veterinary Technology, a member of the Curriculum Committee and Admissions Committee at the Virginia-Maryland Regional College of Veterinary Medicine, the Past President of the Virginia Veterinary Medical Association, and the current Virginia Delegate to the American Veterinary Medical Association. 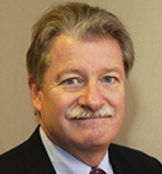 He also serves as President of the North American Association for Laser Therapy. He and wife, Caroline Godine, D.V.M. have three sons and one daughter who he coaches in lacrosse. He enjoys playing bluegrass, music, and golf. Ellis Richman’s broad experience as an entrepreneur and his expertise in marketing, public relations, internet and graphic design enable him to open doors to strategic partnerships as NutriBee’s Vice President of Strategic Growth and Development. Having worked one-on-one with Chief Executive Officers and senior business management of Fortune 500 corporations for over twenty years, Ellis is proficient at making initial contact with foundation sponsors, fostering corporate relationships, and garnering media interest. With a focus on raising funds for NutriBee and an eye to NutriBee’s future horizons, he is dedicated to helping our nation’s youth engage in healthful nutrition choices, and loves applying his life-skills to NutriBee. 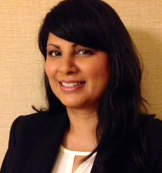 Dr. Preety Gadhoke, Ph.D., M.P.H., is an Assistant Professor for the new Master of Public Health (MPH) program at St. John’s University, College of Pharmacy & Health Sciences in Queens, New York. Her applied anthropology research targets the multifactorial socio-cultural causes and consequences of health disparities in vulnerable populations to inform public health programs and policies. Dr. Gadhoke has worked on the development, implementation, and evaluation of obesity and diabetes prevention and food security programs in low-income inner city populations and American Indian reservations in the Upper Midwest and Southwest. Gadhoke’s research interests include children, youth, and families; food insecurity and obesity; empowerment, agency, and resiliency; conceptual frameworks and theory-building; and qualitative, visual, and quantitative research methodology. Dr. Gadhoke completed her Ph.D. in 2012 at Johns Hopkins Bloomberg School of Public Health in the Social and Behavioral Interventions Program, Department of International Health. She also completed an M.P.H. degree in 2001 at Rollins School of Public Health, Emory University in Health Policy and Management, and a B.A. in 1996 in Sociology/Anthropology and Biology at Knox College. Liane M. Summerfield, Ph.D., M.Ed. 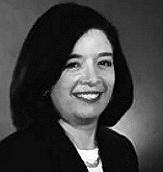 Dr. Liane Summerfield is associate Vice President for Academic Affairs at Marymount University. In addition to overseeing the Honors Program Center for Teaching and Learning, and First-Year Experience, she heads the University’s DISCOVER Center. The DISCOVER Center promotes inquiry learning and undergraduate research through DSC 101 DISCOVER First-Year Seminar, the annual Student Research Conference, a summer research program, and funding for students to attend professional conferences to present their work. Dr. Summerfield also holds a faculty appointment in the Department of Health and Human Performance and teaches occasionally in the department. She is the author of Nutrition, Exercise, and Behavior: An Integrated Approach to Weight Management, published by Cengage. Kerry Rice, Ed.D. is a 2012-2013 Fulbright Scholar, Professor and past Chair of the Department of Educational Technology at Boise State University. 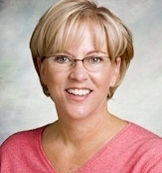 She is the author of Making the Move to K-12 Online Teaching: Research-Based Strategies and Practices (Pearson, 2012), led the development of the Idaho K-12 Online Teaching Standards and the Idaho K-12 Online Teaching Endorsement, and was a founding member and served as Vice President of the Board of Directors for INSPIRE Connections Academy virtual charter school. 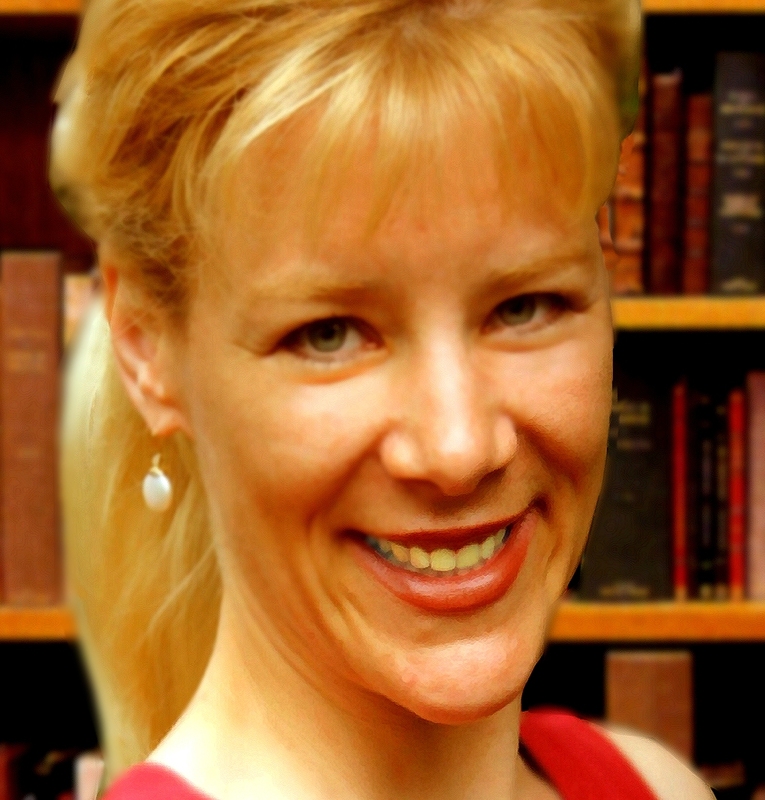 Her research focuses on best practices in K-12 online education with articles appearing in the Journal of Research on Technology in Education (JRTE), the Journal of Educational Technology and Society (JETS), and the British Journal of Educational Technology (BJET), among other publications. 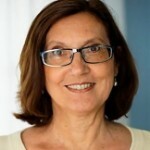 She has presented on best practices in K–12 online teaching at numerous national and international conferences including those of the International Association for K–12 Online Learning Virtual School Symposium (iNACOL, VSS), the Association for Supervision and Curriculum Development (ASCD), the Society for Information Technology and Education (SITE), and the American Educational Research Association (AERA). Betsy Anderson Steeves, M.S., R.D.N. is a Ph.D. candidate at the Johns Hopkins Bloomberg School of Public Health in Baltimore, Maryland and a trainee of the Johns Hopkins Global Center on Childhood Obesity. Her research focuses on developing community-based interventions to promote healthy lifestyles for underserved populations. She has an interest in understanding how social and environmental factors impact adolescent eating behaviors, specifically related to engaging and involving youth-leaders as agents of change in nutrition interventions, as in the Bee Quest component of NutriBee. 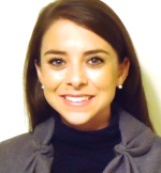 Betsy has received the Johns Hopkins Leadership Education in Adolescent Health (LEAH) Fellowship and grants from the Academy of Nutrition and Dietetics to support her research. 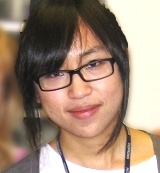 Yu Fang, MSPH, R.D. is a graduate student at Johns Hopkins University. Born in Nanjing, China she immigrated to the United States in 2009 for her undergraduate degree in Dietetics at University of Illinois in Urbana-Champaign, IL. Silvia has a passion for nutrition intervention and prevention of noncommunicable diseases in adults, especially in Asian populations.